Home cinema and projection specialist Sim2 has announced an updated version of its D80 projection unit. The new model is called the D80E - 'E' for 'Evolution' - and is capable of projecting a three-metre wide uncompressed 1080p picture. The D80E borrows much of its technology from Sim2's multi award-winning HT3000E projector, but packs it all into a more compact unit. Better still, whereas the HT3000E costs £10,000 and the old D80 cost £7,000, the D80E will retail for £4,500. At the core of the D80E is a Texas Instruments DarkChip3 0,95inch 1080p chipset. This utilises the Digital Light Projection (DLP) technology that's used in most cinemas and widely recognised as the leading projection technology. The D80E also incorporates Texas Instruments' patented BrilliantColor technology for enhanced colour, alongside Osram's Unishape lamp technology system. As a result the D80E boasts a response time 500 times faster than that of a standard LCD system, says Sim2. 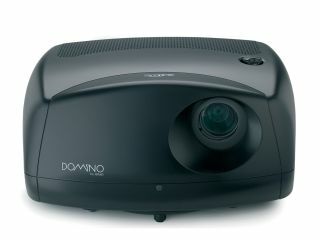 The projector also uses Sim2's ALPHAPATH light engine, which is an optical engineering solution that enables to projector to be compacted into a much smaller unit and weighing in at just five kilograms. Tech.co.uk spoke to Mark Franks, marketing manager for Sim2 UK, who told us that the new projector shows how the trickle-down of technology eventually benefits consumers: "The D80E outputs a 1080p image and uses the same kind of high-end technology featured in the HT3000E, however this has all been compacted into a much smaller unit that costs under half as much." The D80E is available now priced £4,500.